Maintaining sustainable growth is difficult for even the highest quality apps. In this video and through the 5 steps below you can find out how some of our leading Android developers are tackling growth. List out the tactics you’re using to achieve each objective and keep track of their performance. You can visualize it using a scorecard like in the example below created by Mobile Growth Stack. 3) Apply your growth tactics. Here are a few examples of specific tactics developers have successfully used to drive sustained growth. 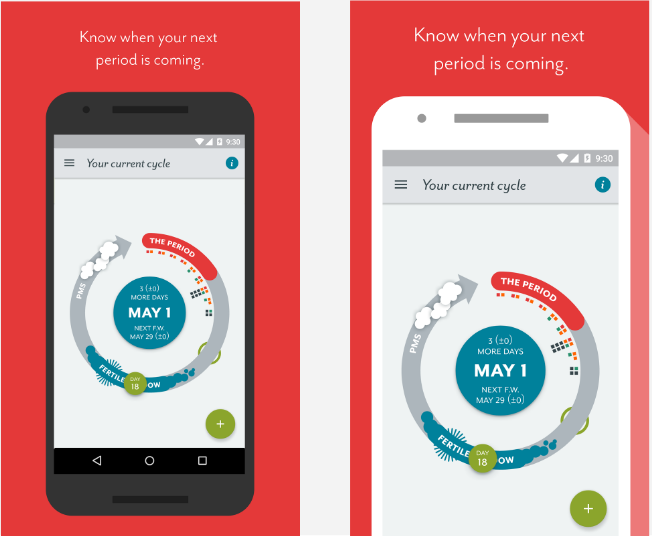 Tactic: Clue, a female health app, invests in the Play store listing to increase conversions. Results: 24% aggregate increase in install conversion rate over a period of 6 months. Which phone screenshot do you think drove increase in install conversion for Clue? Tactic: ShareTheMeal, a non-profit app developed by the World Food Programme, uses public relations as a free sustainable acquisition channel. Results: 50% of their total installs to date were driven by media coverage. Boosted installs impact by combining PR with celebrity outreach and distribution partnership. Learned that TV coverage has the highest impact on installs but print is a useful door opener to amplify TV coverage. Tactic: Viral growth. Virality is a core growth tool for apps and games that focus on sharing and usually the mechanic is built into the core user experience of the product. However, even if sharing isn’t a key component of your app, you can still influence two key variables to create an appropriate environment to encourage virality. Increase the number of additional users that a single user brings to the app, by boosting the number of invitations sent. Decrease your “cycle time”, how long it takes between inviting a user and that user sending out the next round of invitations to their friends. Offer more incentives for users to share the app or its content while they’re using it will help shorten the cycle time and kickstart viral growth! 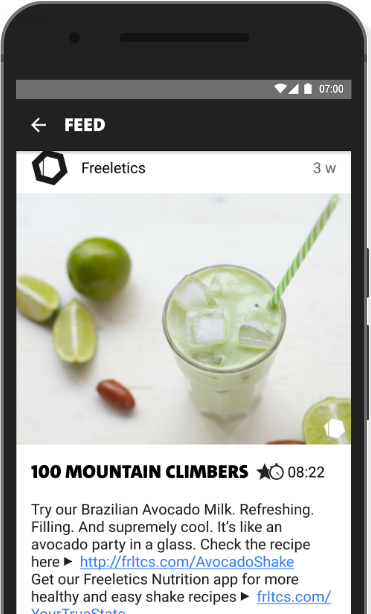 Tactic: Freeletics Nutrition, an app to adjust your nutrition to your individual needs and goals, uses cross-promotion to accelerate the launch of a new product. Results: 96% of new Nutrition app sales generated by users who originally registered for the developer’s Bodyweight training app. Surface meal advice in the Bodyweight app’s activity feed with the goal of raising awareness for the approaching launch of their new Freeletics Nutrition app. To make sustainable growth work for your app, it needs to be a part of your culture. Runtastic is one of the leading health and fitness app developers in Europe and 95% of their approximately 76M total app installs on Google Play have been generated organically. Mario Aichlseder, VP of Growth, believes this is the result of a strong growth culture and the growth principles according to which all teams operate. For example, product managers, designers and engineers at Runtastic deliberately chose a mixture of qualitative and quantitative feedback loops during the app development process to ensure they stay true to their growth principles. It’s important to track your tactics against real metrics to measure your impact. That will help you make decisions about where to increase or decrease your efforts. Your priorities will also change based on the evolution of your business and product lifecycle as well as due to external factors such as new techniques becoming available, so be open to regularly adjusting your tactics. Get more tips and best practices in the sessions from this year’s Playtime events.